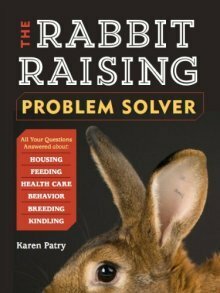 Satin Angora Rabbits: Description, grooming and care of Satin Angoras. These angora rabbits yield amazingly intense, shiny, luxuriant wool for garments of ultra beauty and warmth. The very first satinized angoras occurred in the late 1930’s. Mr. John Fehr created a satinized angora, but then gave up on the project because the fiber looked weak to him. 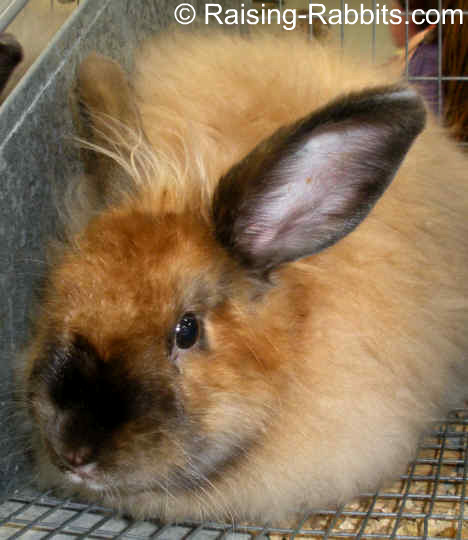 In the intervening time, multiple breeds had been developed and many breeders had used Angora rabbits to improve the fur in their various breeds. It was unsurprising that wooly kits popped up now and again among litters of various short-furred breeds. In the early 1980’s, Mrs. Leopoldina Meyer, a Dutch woman living in Ontario, Canada, raised French Angoras. One day she was shown a young copper satin doe that had a longer, wooly coat. The wool was shiny and satinized, and Mrs. Meyer immediately fell in love with the little doe. She parted with $10 to obtain it. Enchanted, she paired it with a fawn French Angora, and in two generations the foundation stock for a new Satin Angora breed was off to the races. Several years later, the ARBA accepted Satin Angora rabbits as a new, official breed in 1987. The gamut of varieties accepted in the French and English Angora rabbits are accepted in Satin Angoras. The satin Angora is also shown and bred in Switzerland and Europe. Seniors weigh 6 1/2 to 9 1/2 pounds, with the ideal being 8 pounds. Satins are disqualified for excessive head furnishings - their heads should resemble those of French angoras. Satinized wool is narrower in hair shaft, resulting in a richer color and the appearance of less density of wool. Expect to see uniform sheen over the entire wool - on face fur and body wool. According to Ursula and Pascal Glauser of Switzerland, who imported Satin Angoras to Switzerland in 1998, the density of Satin wool is lacking. They believe a dedicated selective breeding program could bring the density up to the par of the other angora breeds. 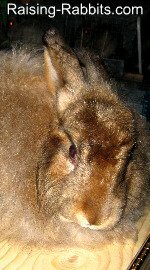 From the experience of Satin Angora breeders today, the satinized wool is not weak; it is perhaps stronger than normal angora fibers. While the satin hair shaft is narrow and translucent, the collagen cells are more densely constructed, lending more strength despite the more fragile appearance. The main distinction of Satin Angoras is the satinized quality of the wool. The underwool should be crimped and abundant, with guard hairs extending beyond the underwool. Judges award up to 60 points on wool alone: 20 for density, 15 for texture, 10 for length, and 15 for the distinctive sheen of the satinized wool. Each hair shaft is finer in diameter than normal angora wool, translucent yet more intensely and vibrantly colored. The 'shininess' is called sheen. It, along with the bright coloration, gives satin angora wool a magical quality that is highly sought after.